Q: Can I select my opponent/machine? A: No. We use Brackelope, software that randomly matches players and machines. Q: Are the match games free? A: Yes! Bring $10 cash for the entry free, but you will not need quarters for your tournament games. Q: Can I pay my entry fee with a card? Q: What does Three Strike Knockout mean? A: Each match consists of ONE game (each player gets 3 balls in one game). If you lose a game, that's one strike and you know the rest - 3 strikes and you're out! Q: Is there a prize for winning the tournament? A: Yes, there will be a cash prize for the top 3 players. Q: What do you do with my entry fee? A: All entry fees go into a "pot." Half of the pot goes to machine maintenance and the remaining half is split among top 3 players. Q: Is the tournament open to all ages? Q: Does Garibaldi's serve beer? 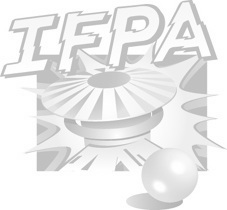 For more info about IFPA rankings, check out www.ifpapinball.com.